Let me tell you a little bit about myself. 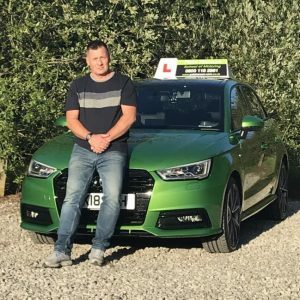 My name is Pete Hanson, I have been driving now for 30+ years and took my Advanced Driving test in 2004 later qualifying as advanced Driving Observer in 2005. I qualified as a Driving instructor in 2006 and have not looked back since. I am also a committee member of the Warrington Professional Driving Instructors Association. Driving is my passion, I enjoy every day that I am out on the roads teaching the skill of Driving which has changed a lot since I learnt to drive in 1985 but safety, anticipation and planning is still the main skill base of sitting behind the wheel of a car and these points are my main teaching blocks for all my students. Once my students have passed their test, my teaching doesn’t stop there. I offer a range of further skills that cannot be obtained in the standard DVSA Driving test. I offer training in Motorway lessons and also Pass Plus, both of which pass on additional valuable training and understanding in road safety. Additionally I offer help for nervous drivers and those needing some “refresher training”. If you require any help or assistance or just would like a chat about the way forward, please do not hesitate to contact me. I hope to see you soon and thank you for looking at this site.